Imagine you have just endured a severe storm and now you sit amid downed power lines and blocked roads trying to contact your family but you're unable to find a power source to charge your cell phone. This scenario is extreme but it is one scenario that got Carrier Class Green Infrastructure CEO, Jim Innes thinking about robust and reliable energy solutions. Reliability is the ability to deliver electricity consistently. Resilience is the ability to recover rapidly after a disruptive event. 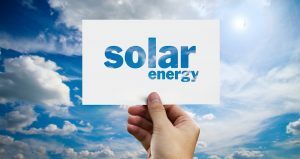 How does solar energy fit in? Confident that solar power options will continue to grow, Mr. Innes states, “The dilemma is, how is it going to grow?” He noted, the challenges are the same, whether it’s a large university campus or an enthusiastic community co-op. “Problems with permitting, the perplexity of installation on a given site and the imbalance between customer load and available space for installation persist. He continues, “What slows the adoption down is the inability to grow and build near large loads and willingness of developers to think differently about siting and looking for opportunities closer to the load centers where you can build more solar capacity. For instance, at a large university it is unlikely that you will find areas, within 10-20 miles big enough to build large scale solar plants.” Discussing the issues on a community scale, he explained that load was not a problem for a community solar initiative in NW Philadelphia. In fact, the community was enthusiastic and put together a solar initiative co-op, on a subscriber basis, pretty quickly but because the area is so heavily treed they are left with few options for putting in the capacity that would make the project meaningful and economically viable. How can solar energy be made available to users facing these circumstances? Carrier Class Green infrastructure has a goal to provide primarily off-grid, smaller solar installation that power loads where no other option is available. They hope to provide reliable day-to-day services and address the resilience aspect by providing power in case of an emergency. If you have a long-term power outage these products and stations may be the only way you can power smaller devices. The Grid2Go is a handheld battery, the size of an iPhone that can be used to charge personal devices, as a primary or backup power source. As a stand-alone solar device for powering a cell phone, the capacity is based on consumption and exposure to the sun. You can expect high capacity in high solar access areas where the Grid2Go has full exposure to the sun. The ConnecTable takes the concept to another level. It is a true off-grid solar system, which means it was designed to work 100% off-grid at all times. Design, placement, load and consumption are all required considerations for the ConnecTable installation. Growing in popularity on college and corporate campuses, these outdoor spaces are meeting the demands of users. What’s next for Carrier Class Green Infrastructure? The company will focus on semi-portable solar energy to power homes day-to-day. Do you believe off-grid solar energy systems will improve utility reliability and resilience? Please share your comments.